Situated in Carlsbad, this hotel is 7.3 mi (11.8 km) from Carlsbad Caverns National Park and within 25 mi (40 km) of Carlsbad Museum & Art Center and Lake Carlsbad Recreation Area. Riverwalk Recreation Center and Lamont Street Park are also within 25 mi (40 km). Located in the heart of Artesia, this hotel is 0.7 mi (1.1 km) from Bulldog Bowl and 1.4 mi (2.3 km) from Artesia Historical Museum. Eddy County Fairgrounds is 3.4 mi (5.4 km) away. 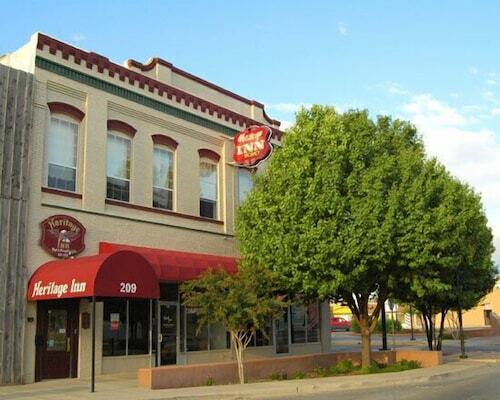 Situated in Artesia, this hotel is 1.2 mi (1.9 km) from Bulldog Bowl and 1.9 mi (3.1 km) from Artesia Historical Museum. Eddy County Fairgrounds is 3.9 mi (6.3 km) away. 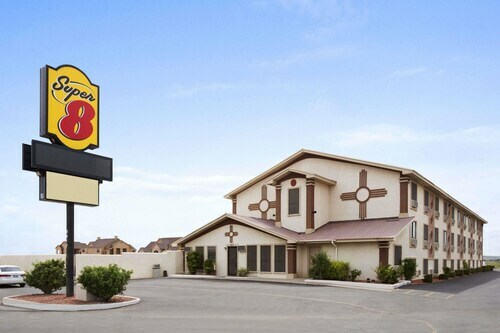 Situated in Artesia, this hotel is 0.7 mi (1.2 km) from Bulldog Bowl and 1.5 mi (2.4 km) from Artesia Historical Museum. Eddy County Fairgrounds is 3.4 mi (5.5 km) away. Situated in Carlsbad, this motel is within 6 mi (10 km) of Carlsbad Museum & Art Center, Riverwalk Recreation Center, and Lamont Street Park. Lake Carlsbad Golf Course and Lake Carlsbad Recreation Area are also within 6 mi (10 km). Situated in Carlsbad, this hotel is 3.1 mi (5 km) from Carlsbad Museum & Art Center and within 6 mi (10 km) of Riverwalk Recreation Center and Lamont Street Park. Lake Carlsbad Golf Course and Lake Carlsbad Recreation Area are also within 6 mi (10 km). Situated in Carlsbad, this motel is within 3 mi (5 km) of Carlsbad Museum & Art Center, Lake Carlsbad Recreation Area, and Riverwalk Recreation Center. Lamont Street Park and Lake Carlsbad Golf Course are also within 3 mi (5 km). Situated in Carlsbad, this hotel is within 3 mi (5 km) of Living Desert Zoo & Gardens State Park, Lamont Street Park, and Carlsbad Museum & Art Center. Lake Carlsbad Recreation Area is 3.1 mi (5 km) away. 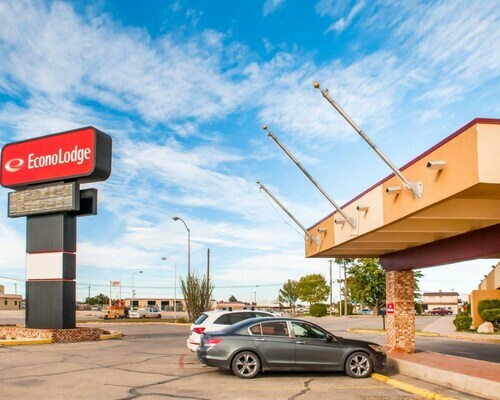 Situated in Artesia, this motel is 0.8 mi (1.4 km) from Artesia Historical Museum and within 3 mi (5 km) of Bulldog Bowl and Eddy County Fairgrounds. How Much is a Hotel Room in Carlsbad? Hotels in Carlsbad start at $64 per night. Prices and availability subject to change. Additional terms may apply. If you are heading to Southeastern New Mexico and are looking for a place to rest and relax in Carlsbad, there are a wonderful range of options. Travelers can access about 16 unique accommodations within a short drive of of Carlsbad. The Fiddler's Inn Bed & Breakfast is a sought-after Travelocity-listed lodging choice as it's located such a short distance from Carlsbad. At Travelocity, we fully appreciate that all our clients have differing budgets. If you're looking for accommodation at the more affordable end of the range, the Carlsbad area boasts some great options. 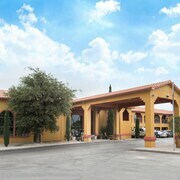 30 miles (50 kilometers) from Carlsbad's downtown is where you'll find the Best Western Pecos Inn. 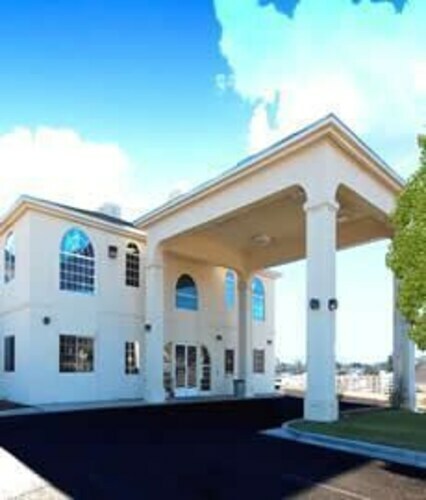 The Legacy Inn and Suites Artesia is just 30 miles (50 kilometers) away. Other budget hotels include the Econo Lodge and the Super 8 Carlsbad. 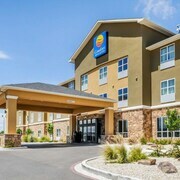 The Hampton Inn & Suites Carlsbad is around 2 miles (3 kilometers) from the heart of Carlsbad. 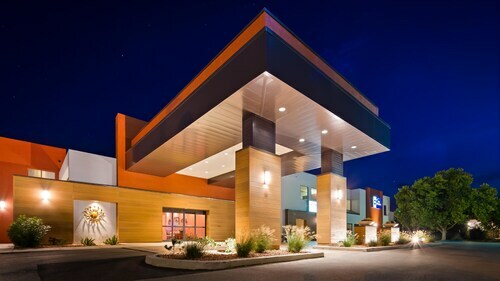 Another alternative is the Holiday Inn Express Carlsbad, which is located about 2 miles (3 kilometers) away. The Fairfield Inn & Suites by Marriott Carlsbad as well as the US Travelers Inn & Suites are alternate places to book accommodation in Carlsbad. For visitors who would like to see more of the desert landscapes in this section of United States of America, you could plan extra days in other parts of Southeastern New Mexico. Spend your time mountain biking and hiking or wander around a few of the area's local things to see. 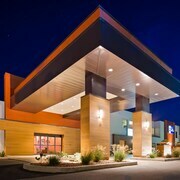 Family-friendly accommodations are located nearby. The nearest accommodation options in Southeastern New Mexico are Artesia and Artesia. Artesia is 30 miles (50 kilometers) to the north of Carlsbad, while Artesia is 30 miles (50 kilometers) to the north. 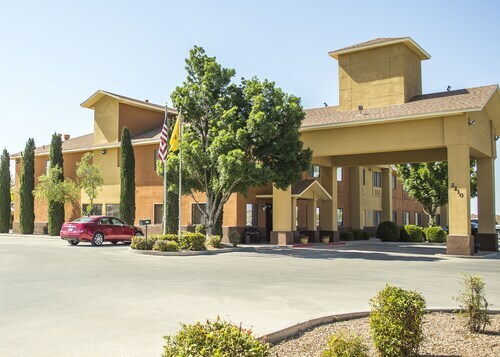 Hotel options in Artesia include the Budget Inn and Hampton Inn & Suites Artesia. 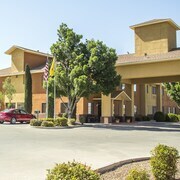 The Starlite Motel and Comfort Inn & Suites Artesia are a number of the Travelocity-registered hotels and apartments in Artesia. Simply because you are on a break, does not mean that you can't enjoy your love of a day watching sports. You will find Bulldog Bowl 30 miles (50 kilometers) to the north of Carlsbad. 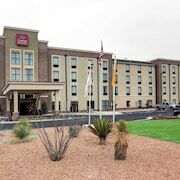 Travelocity readers who like the convenience of checking in to a room close to the stadium, make a reservation in the La Quinta Inn & Suites Artesia or Hotel Artesia. Cavern City Air Terminal Airport is a practical gateway for those arriving in Carlsbad. It is 5 miles (8 kilometers) from the heart of the city. For wise travelers who would find it convenient to stay close by, try the Continental Inn or Custom Touch Village-Carlsbad. Was charged an extra $18.00 cleaning fee that was in small print from Travelocity in the back papers. Just stayed on night but would have been cheaper to have just walked in to the Motel. Staff was very pushy and unaccommodating. Had long term residents with very load motorcycles that came and went until very late. No plug in bathroom and no soap or shampoo place in shower. Towels were dirty and refrigerator did not work. I enjoyed the historic features of the hotel and they were very personable! Enjoyed the modern styling. Parking lot is behind the building. Limited street parking in the front (which isn't bad, just worth noting). Bed was comfortable, good for price you pay. Close to carlsbad caverns. Very quiet location with friendly staff. Booked for indoor pool and hot tub but when we arrived the hot tub was undergoing repairs. The pool was large and heated so that made up for the nonworking hot tub. Breakfast was not a buffet style but rather sit down to order from a specific menu. They were extremely busy the morning we stayed and it took over an hour for use to finish our breakfast.